Of course you are familiar with all three participants in this game. It's Cinderella, Jasmine and Princess Elsa. Game Pijana party Disney will allow you to join these beautiful girls and have some fun with them. First you will choose the pajama, Slippers and t-shirts for warm and cuddly slumber parties. Then you will help Elsa to make a surprise for her friends. At night she wakes up to pick up marker and draw on the face princesses funny grimassi. It will be a fun morning waking up to see myself in the mirror! And now I want to tell you how to play the game. Here again, there is nothing difficult. Just take the mouse and choose the outfits for three Disney princesses. Click the arrows left and right on the right side of the game, and then choose other items of clothing that every girl has found her outfit. Played: 81819. Added: 20-02-2016, 17:22. 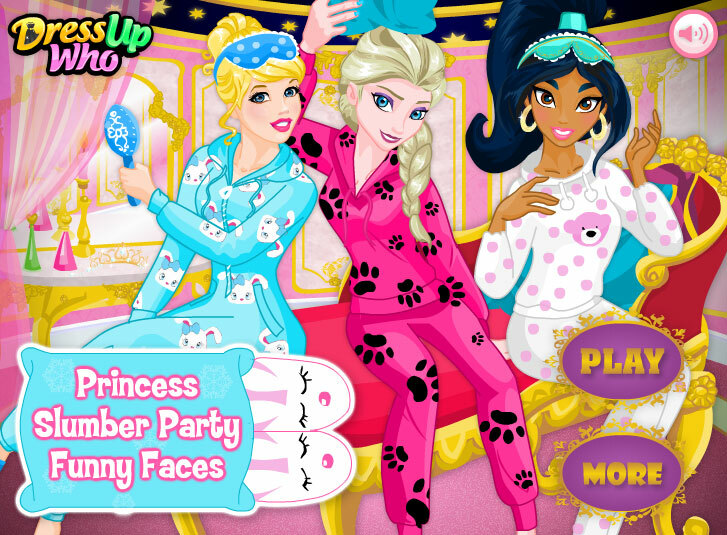 Game Pajama party Disney best friends Princess, going all the fun this evening. Elsa draws on the face of the princesses.